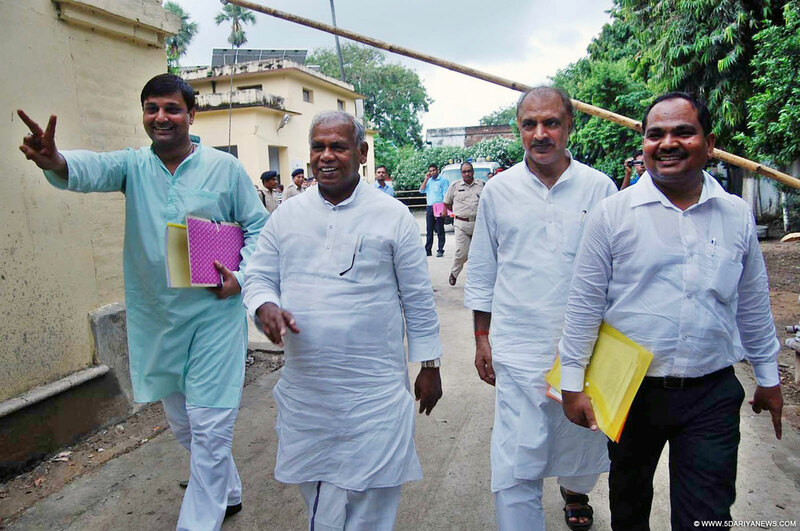 Former Bihar chief minister Jitan Ram Manjhi filed his nomination papers for the state assembly polls from Makhdumpur assembly constituency on Monday as a Hindustan Awami Morcha (HAM) candidate.Manjhi, the president of the HAM, was accompanied by his party leaders when he filed his nomination papers in Jehanabad, district headquarters, about 50 km from here.Later, Manjhi exuded confidence before media that he would win the seat again. "People have been supporting me and will vote for me in the polls." Though Makhdumpur seat has a strong presence of Dalits, Manjhi is also contesting from Imamganj in Gaya district.HAM is a member of the Bharatiya Janata Party-led National Democratic Alliance in Bihar.The BJP is contesting 160 seats in the 243-member Bihar assembly, the Lok Janshakti Party 40 seats, the Rashtriya Lok Samata Party 23 seats. HAM has already announced its list of 20 candidates for the polls.Bihar will witness five-phased elections between October 12 and November 5. Counting of votes will take place on November 8.